Great work Kerry and Simon. I will be experimenting with this soon myself. It is really important we continue to share ideas..we do this because we want to deliver the best policing to our communities, not for self promotion! So anyone with ideas on how we can build on this please post a comment. 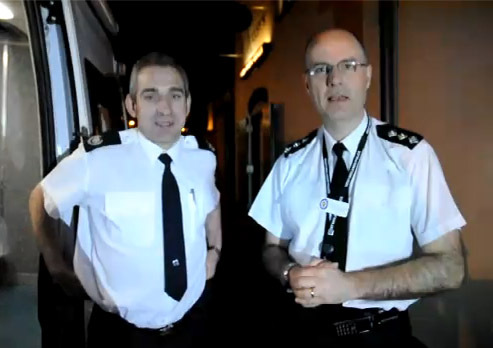 West Midlands Police are committed to developing Trust & Confidence in our communities. We strive to put the public at the centre of everything we do. We have established community meetings & forums that my officers attend on a regular basis. These meetings allow us to get a real idea of the matters that concern/affect local communities. We then work with the community & other local partner agencies to try and bring improvements to their local area. Our live Internet broadcasts allow the public either to come & see us on the streets or ask questions of us from the comfort of their own home via Twitter. 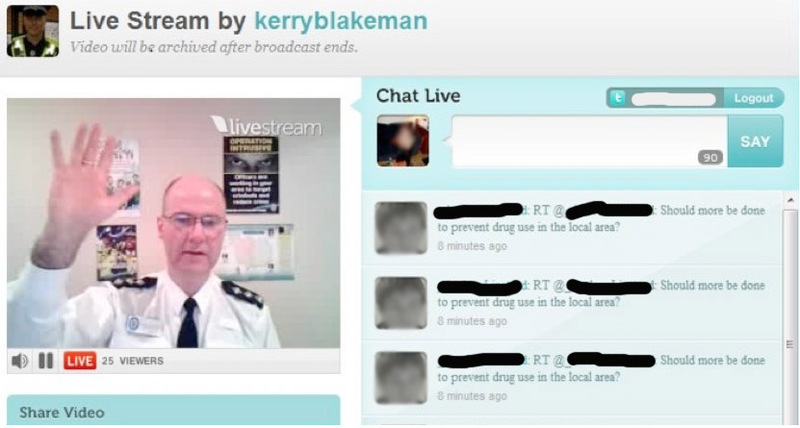 Using Twitcam allows us to engage with a whole new section of our community who ordinarily wouldn’t have contact with the police. Thank you Lauri for your article, we hope other law enforcement agencies follow our lead. Fantastic experiment! I love it, especially suitable for neighbourhood officiers to connect with their community. Maybe there is one in my police force who would like to give it a try as well… Please keep sharing your ideas! The Twitcam sessions are there to support our daily engagement with our local communities and further afield. We’ve had conversations about the use of this type of communication from all over the country and other colleagues have also used this method following Kerry’s example. 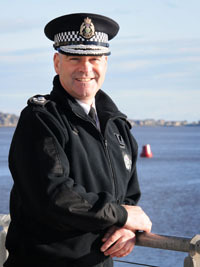 From a Fire Service perspective, it’s great to extend and promote our professional relationship in crime prevention. Deliberate fires are logged as crimes along with deliberate outdoor fires. No matter how small or large they are, they all contribute to anti social behaviour within our community. As public sector workers we care about our communities and the safety and well being of those who work, live and visit our area. I am thrilled with our early success and the support from other twitter users and local bloggers. I would like to see our top level board members expand this for use internally as an employee engagement tool, reaching out to all employees who may not ordinarily get an opportunity to ask key questions of a senior officer. I have had great support and trust from my senior managers and it makes me very proud to represent West Midlands Fire Service in a new and innovative approach to community engagement.